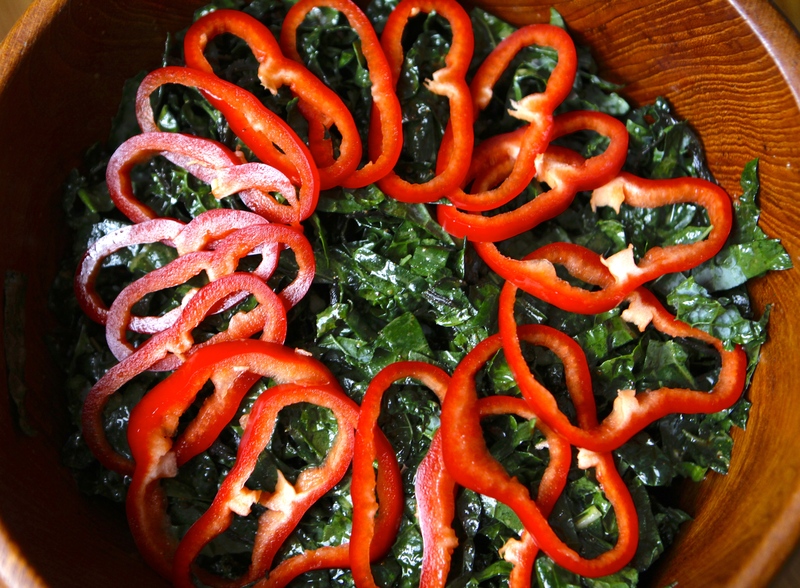 I’m told I make the best kale salad. It must be true, because even my nine year old daughter begs to eat it on a regular basis. Fortunately she loves to mix the marinade while I chop the kale. 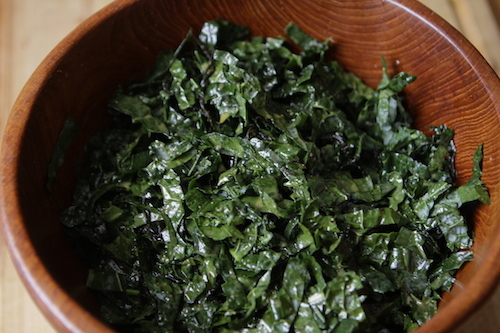 Kale is very nutritious, filled with minerals such as calcium and iron and marinating it is a wonderful way to enjoy it raw. 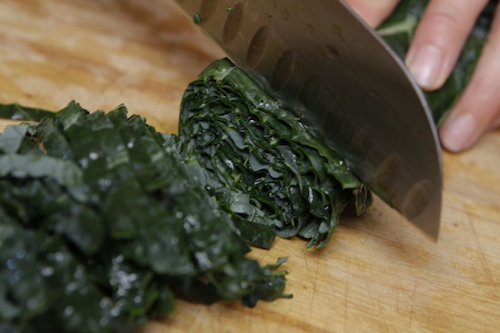 The oil, salt and acid break up the fibrous leaves and make the rich minerals more absorbable and quite delicious. 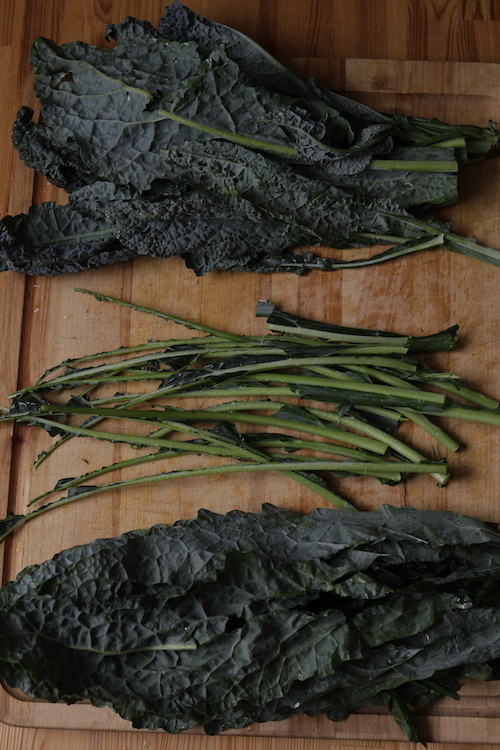 First prepare the kale by washing and destemming. The stems can leave a bitter taste in your salad and it’s quite fun to pull them out, so I usually do. 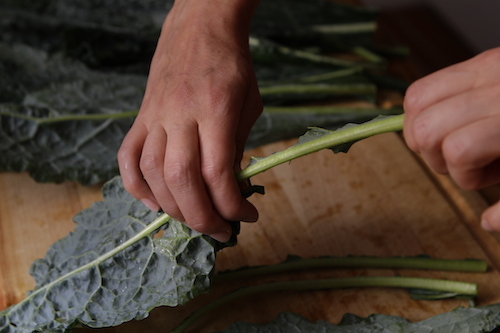 Grasp the tip of the stem firmly in one hand and slide the other hand loosely along it until the whole leaf comes off. Then stack the leaves together and roll them into a tight log. 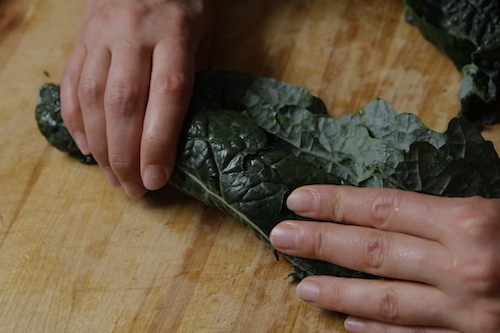 This will allow you to quickly and easily slice the kale into thin ribbons. Make sure to sharpen your knife first! Squeeze all the juice from your lemon and mix it in with the rest of the ingredients besides the bell pepper. 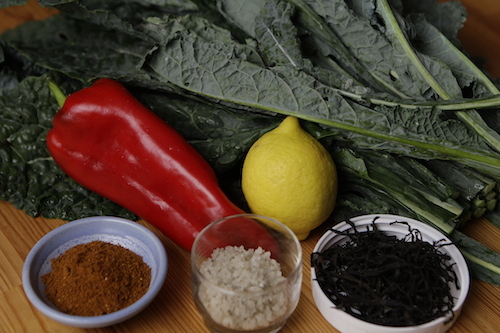 Toss the marinade on the with the kale and seaweed. Let it marinate for 30 minutes or more. Toss again before serving. Make sure to make plenty. It is always quick to disappear at potlucks. Which is a shame since it tastes amazing the next day too. Thanks to Jack for the great photos. Previous Postwhat about the white film on my Sauerkraut?